On 1 September 2017, the Zambian Watchdog published an article in memory of Barotseland independence activist Afumba Mombotwa, languishing in Luwingu state prison. 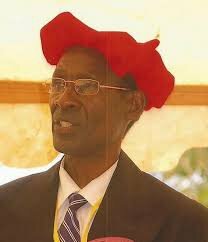 The political figure was arrested in December 2014 for having carried out advocacy campaigns for Barotseland’s independence. After 15 months spent in custody awaiting his trial, Afumba Mombotwa was sentenced to a 10-year imprisonment by the Kabwe High Court. The activist was deported to remote Luwingum, a city difficult to access for its relatives. Barotseland became fully part of Zambia in 1969 after the decision of Lusaka to abrogate the 1964 Agreement, which had previously given the territory of Barotseland relative autonomy within Zambia. He was shunted to Luwingu in Northern Province on 23rd December 2016 in colonial style psychological torture of moving detainees to far and culturally ‘foreign’ lands. Relatives and friends have told the Watchdog that they are facing challenges to visit and supply food to Afumba due to the long distance from Mongu to Luwingu. ‘As you know Luwingu is quite a long distance from Mongu where most of the relatives and friends are based, it’s a challenge to visit every month and supply him with food and other necessities but we won’t tire,’ a relative lamented. The Zambian government shunted Afumba to Luwingu where he is being ‘forced’ to speak Bemba in an attempt to mentally break him down. Afumba and his co-accused Likando Pelekelo and Inambao Kalima were arrested on 5th December 2014 for advocating for the independence of Barotseland. The other two are being held in Mansa and Kasama state prisons respectively. The three were sentenced on 10th March 2016 by the Kabwe High Court over the charge that, on some unknown date, but between March 1, 2012 and August 20, 2013 while in Sioma district, jointly acting together with unknown people conspired to secede “Western Province” from the rest of Zambia. The judgment was based on the trio’s alleged role in carrying out the people of Barotseland’s desire for self-determination outside of Zambia after the latter refused to restore the pre-independence treaty, the Barotseland Agreement 1964, which gave the territory of Barotseland relative autonomy within the sovereign state of Zambia, but was unilaterally repudiated and annulled in 1969 by the Zambian government. The Barotseland National Council (BNC), the highest policy making body under Barotse governance had on 27th March 2012 unanimously elected to accept Zambia’s abrogation of the Barotseland Agreement 1964, and initiate all formal peaceful procedures for the restoration of Barotseland sovereignty. The Litunga Lubosi Imwiko had sanctioned the BNC and signed the resolutions while the Zambian government was in attendance including the United Nations and several diplomats accredited to Zambia. The Litunga however u-turned after the Zambian government bribed him with huge amounts of money and has since been using his influence to block the resolutions he personally sanctioned. The Watchdog will bring out more on Afumba and his co-accused political prisoners. Interestingly, over 90 percent of all treason cases that have been brought before Zambian courts since 1964 including the recent one involving UPND leader Hakainde Hichilema have allegedly been committed in Western Province.